Product categories of PET/PVC Pillow Packaging Box, we are specialized manufacturers from China, Plastic Pillow Packaging Box, PET Pillow Packaging Box suppliers/factory, wholesale high-quality products of PVC Pillow packaging box R & D and manufacturing, we have the perfect after-sales service and technical support. Look forward to your cooperation! 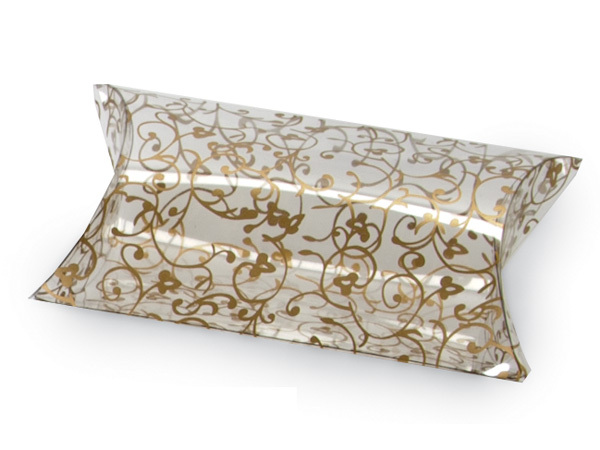 Below are special pillow packaging boxes that made with plastic material like PET or PVC. This kind of material enable products inside the pillow see through. Beside this, Logo, text and pattern can also be printed on the plastic pillow boxes to make them unique. Below is blank PET/PVC pillow box. There is no printing on the box and thus relative low as UV printing is expensive. Below is printed PET/PVC pillow box. There is UV printing on the pillow box to make it colorful and unique.